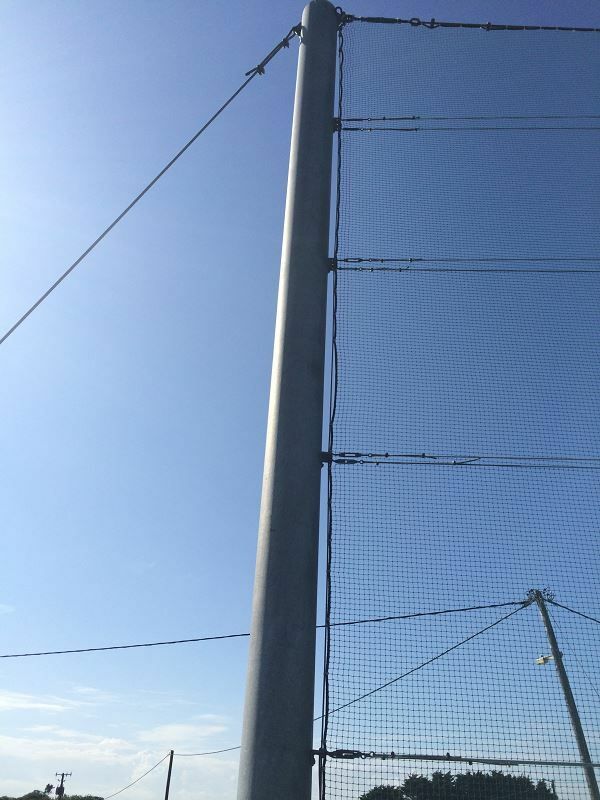 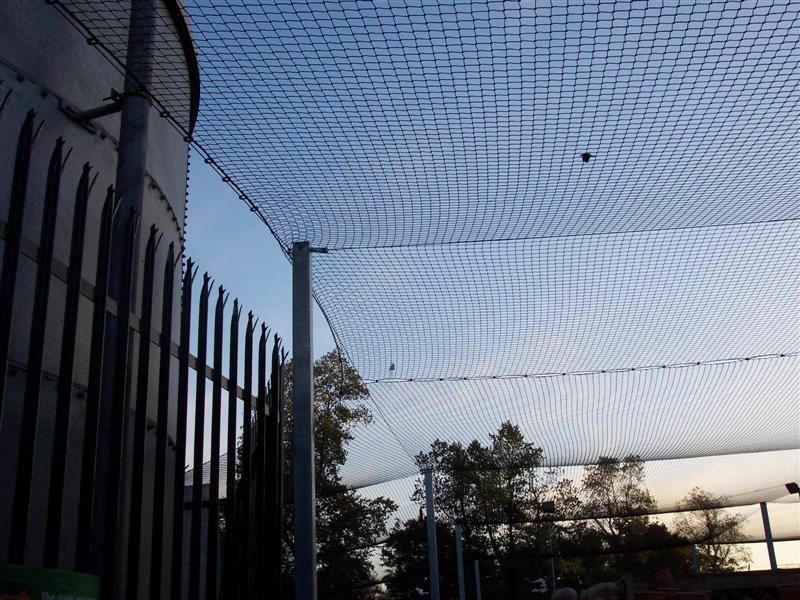 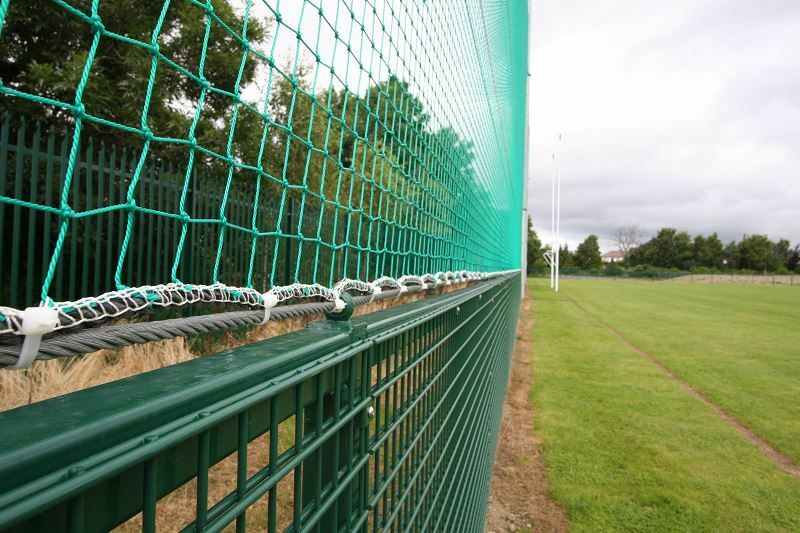 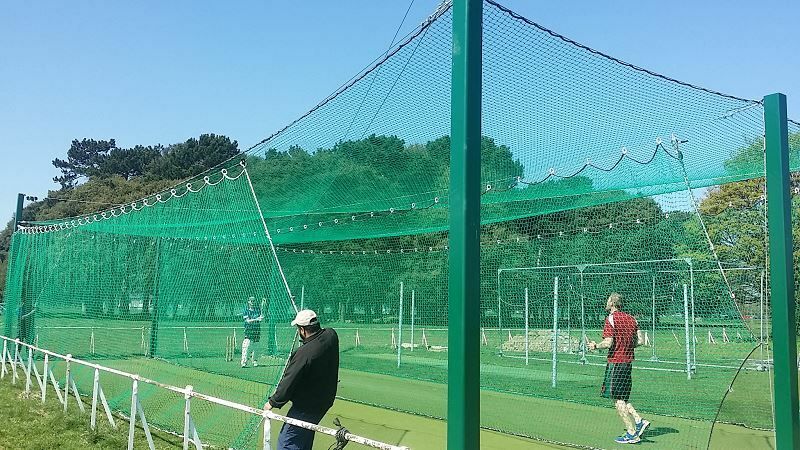 Irfen Ballstop Sports Netting is available in heights up to 25000mm high The netting utilises 2/10/48 Polysteel woven twine 2.5mm diameter.The mesh is custom made to the required size and each section is reinforced with 8mm Polsteel rope edging. 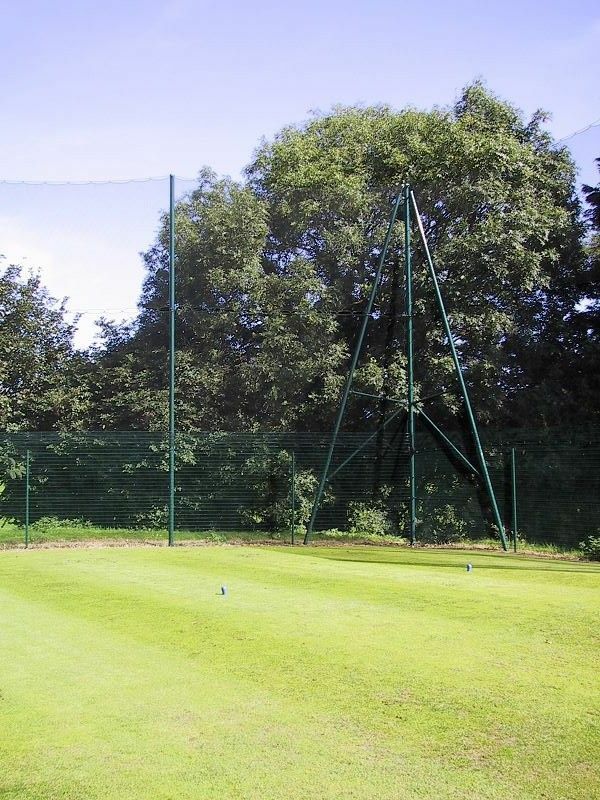 Posts are circular hollow section All Posts are available either hot dipped galvanised to BS EN9 ISO 1461:1999 after fabrication or subsequently electrostatically powder coated in a plant complying to E.N 1722 part 16. 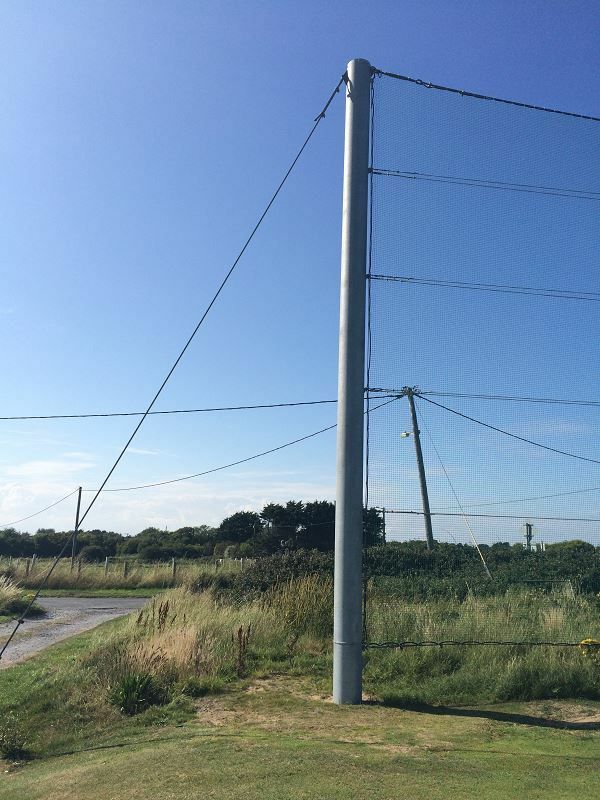 (Plasgalv) Posts are specifically designed based on height, usage and site conditions. 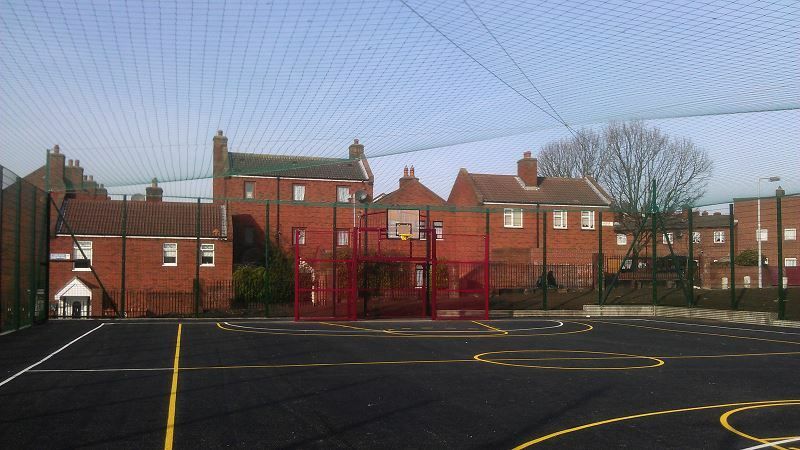 Typically post centres are 7500mm Back struts and cross braces are incorporated where required by height and site conditions. 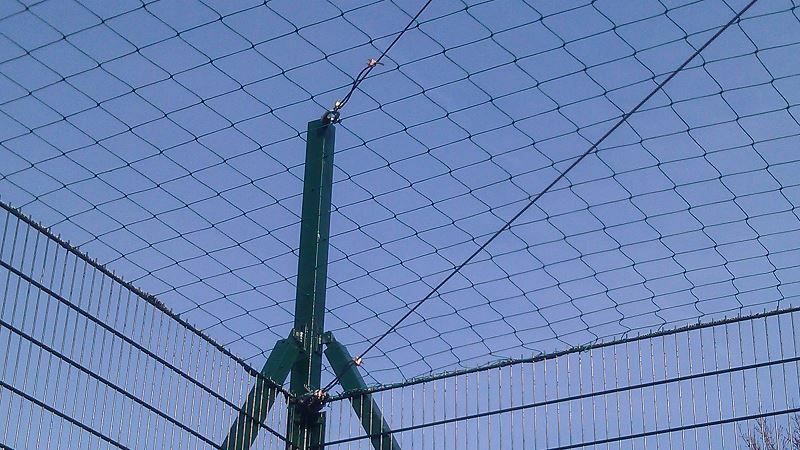 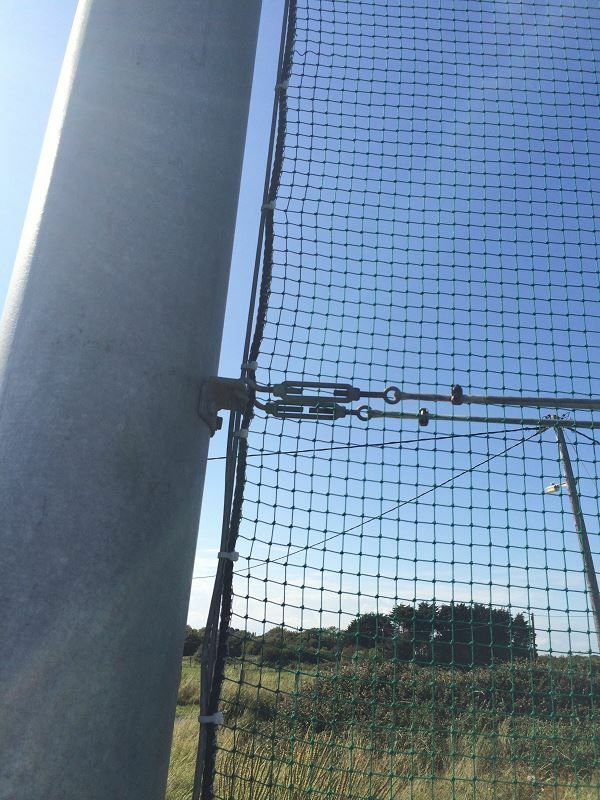 Diagonal support wires are 7mm galvanised steel rope and are clamped and tensioned using Irfen ratchet winders.Netting is attached to support wires using stainless steel Irfen carabiner clips. 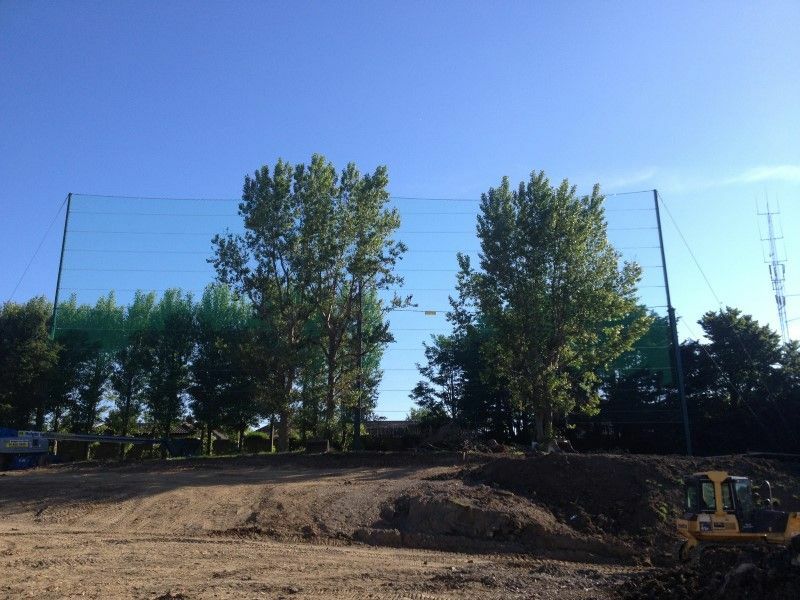 Foundations to be designed for each installation. 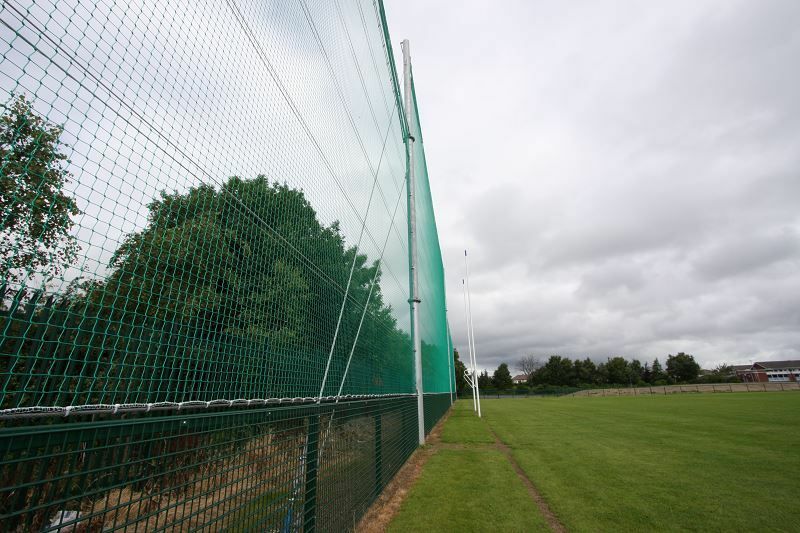 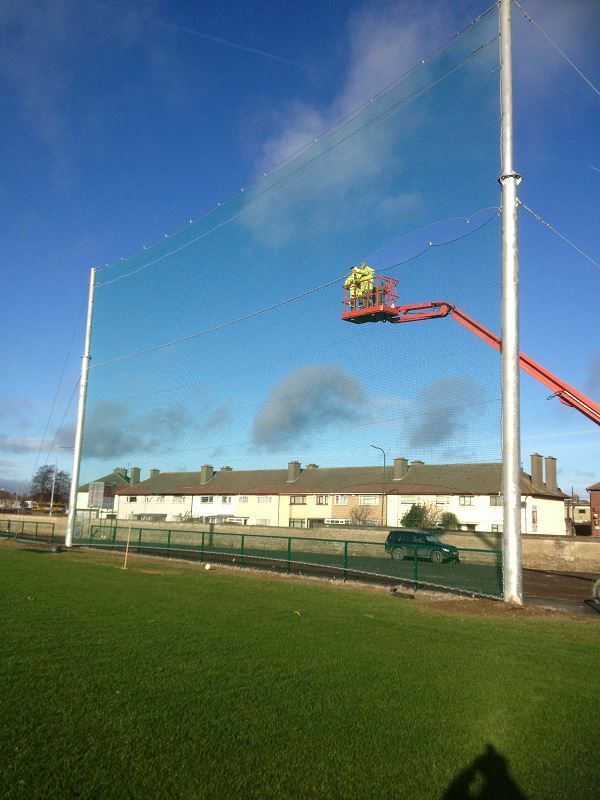 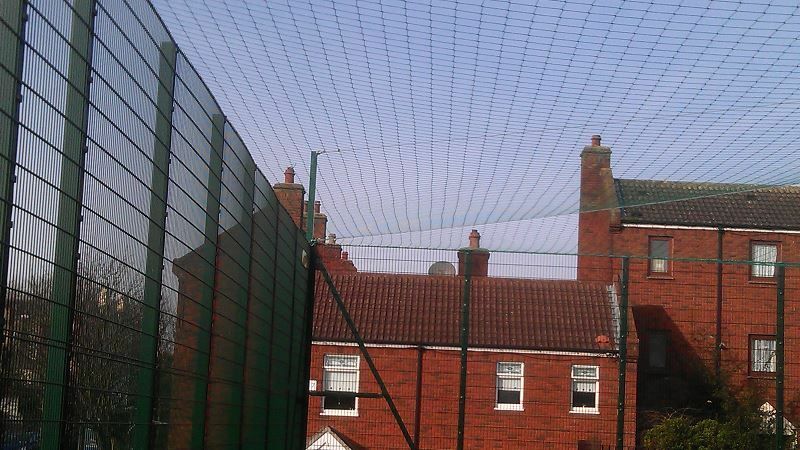 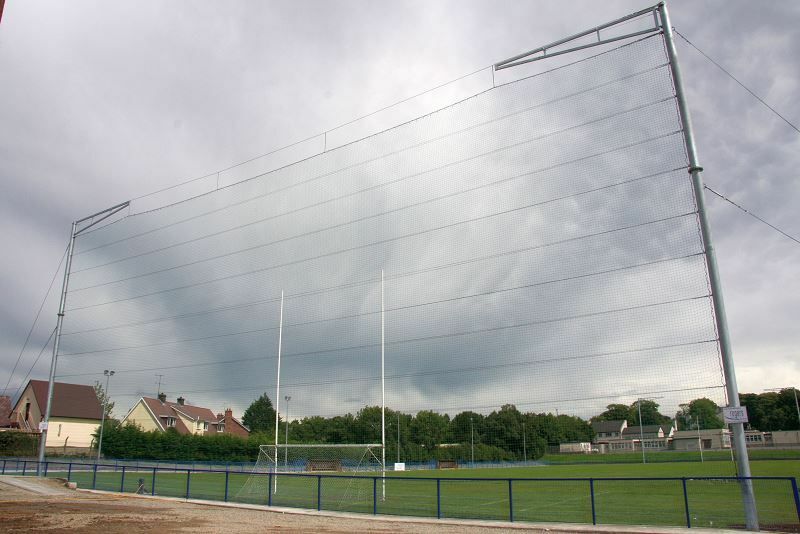 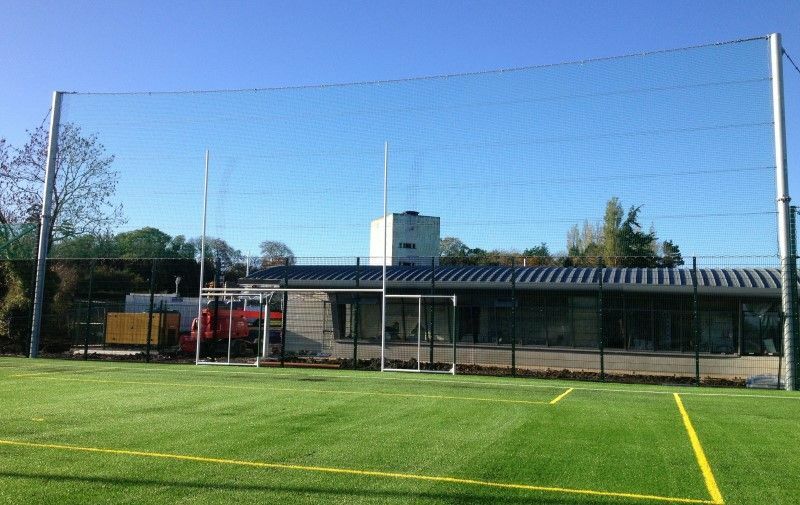 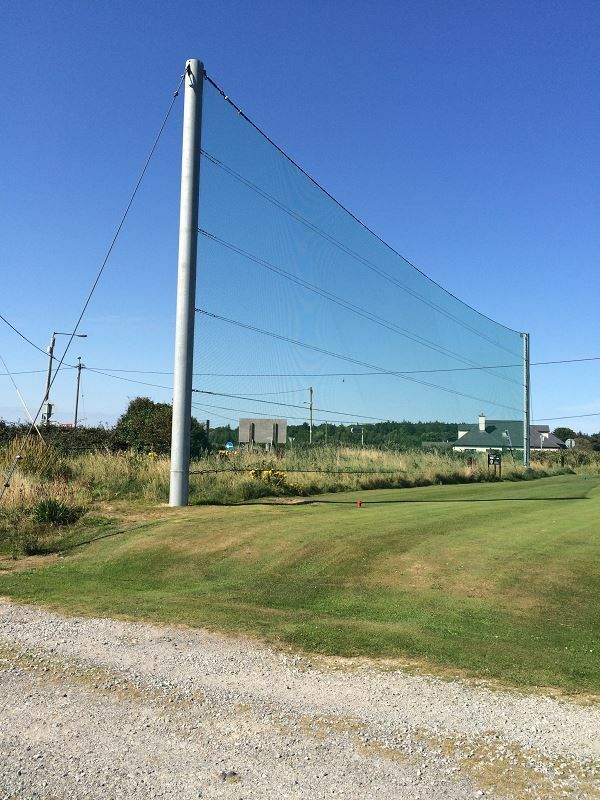 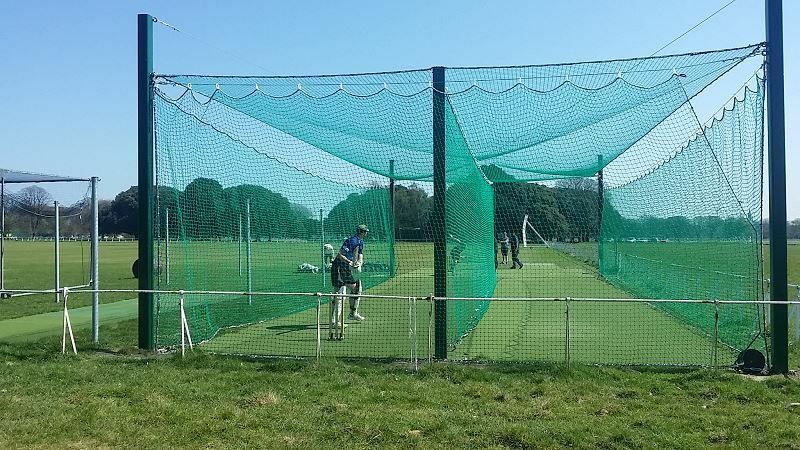 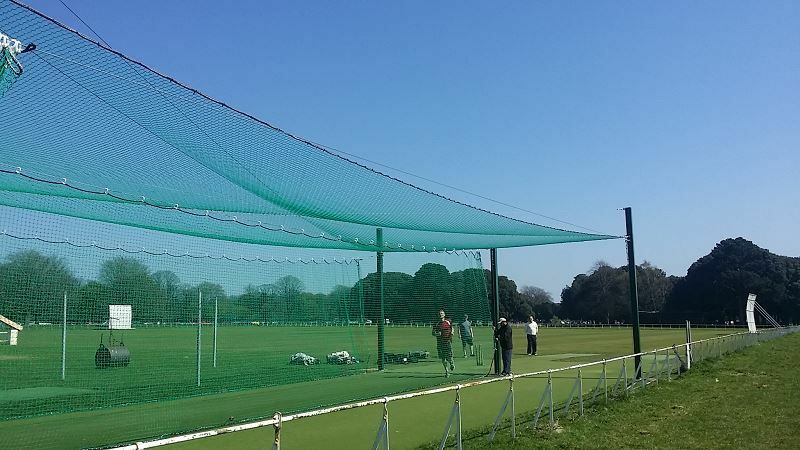 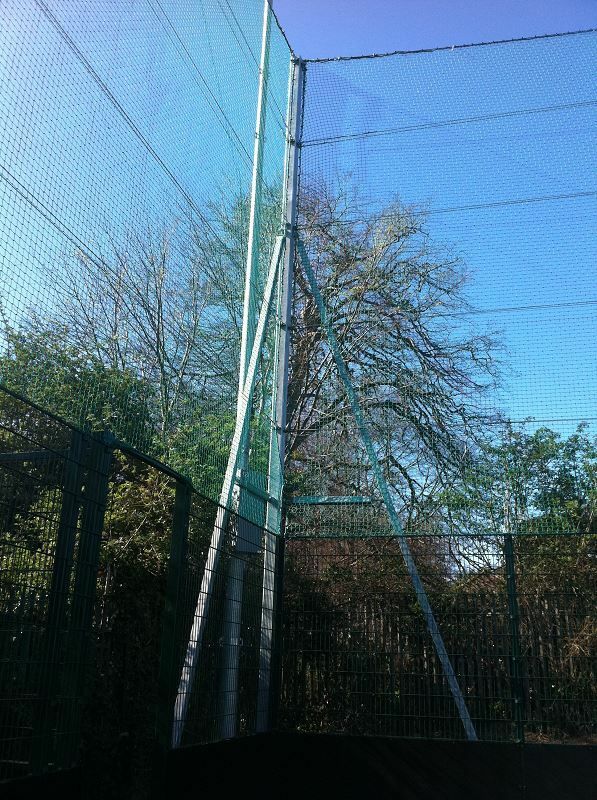 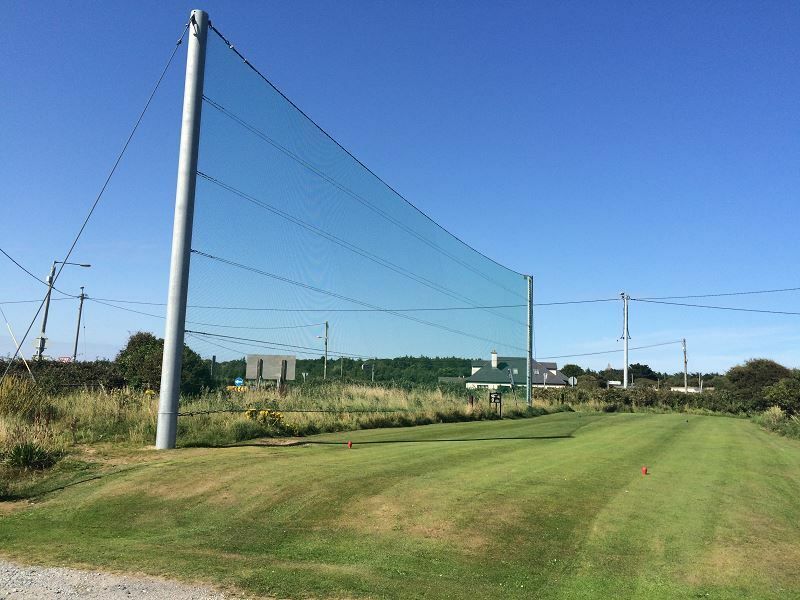 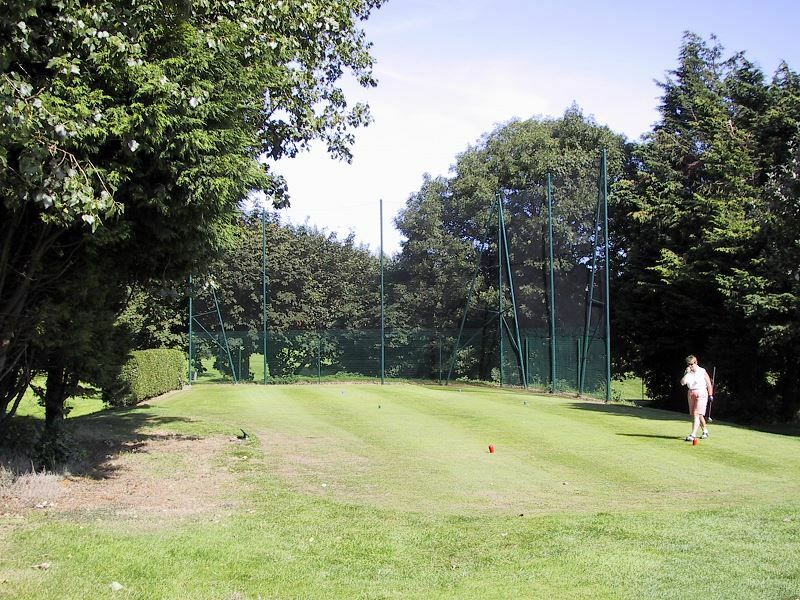 Nets are provided suitable for small ball sports such as Golf, Cricket, Baseball, Hockey, Hurling etc. 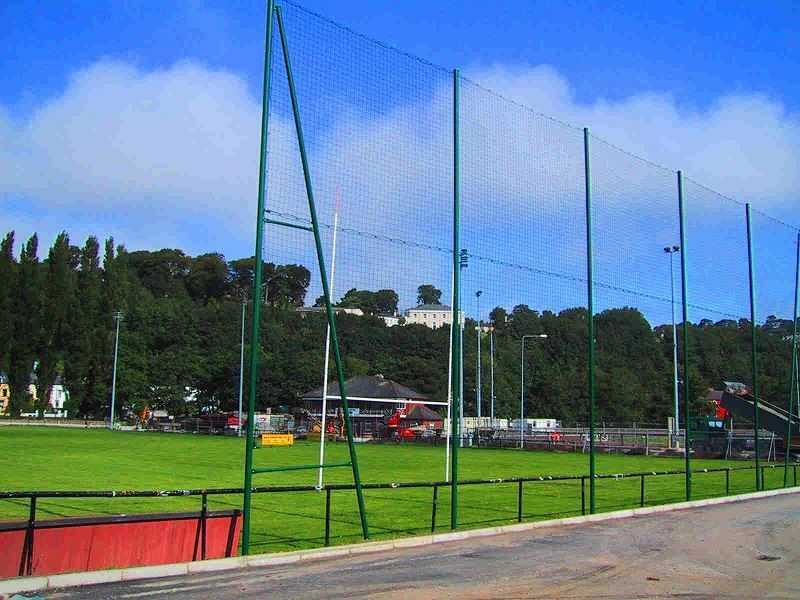 And Large ball Sports, Soccer, Rugby,Gaelic Football. 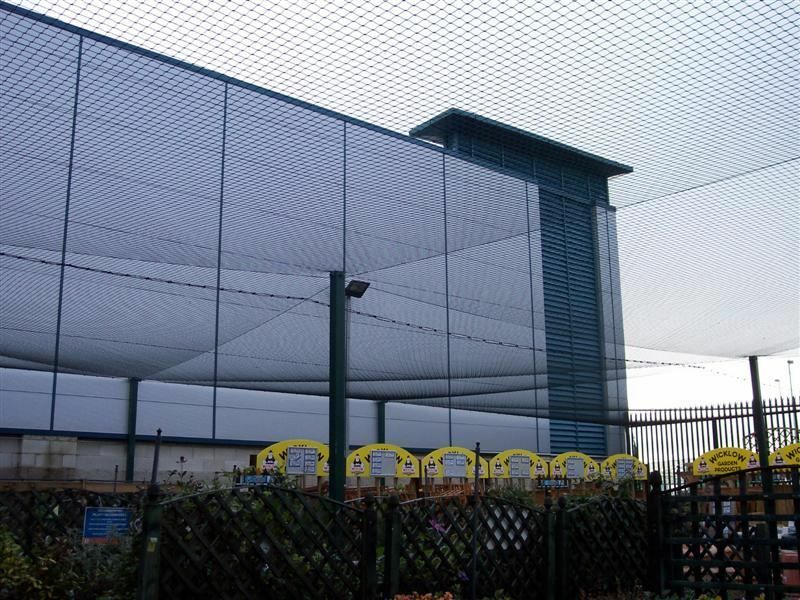 We can provide Engineer designs and certification if required. 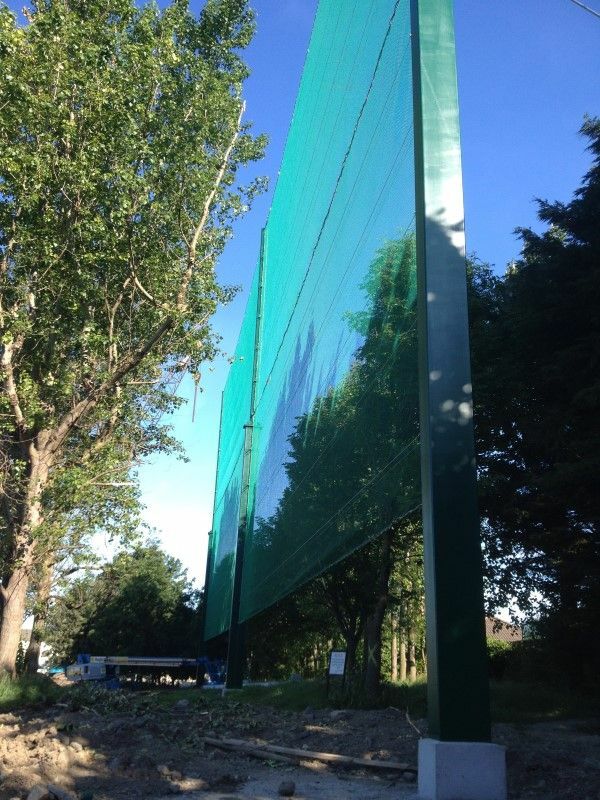 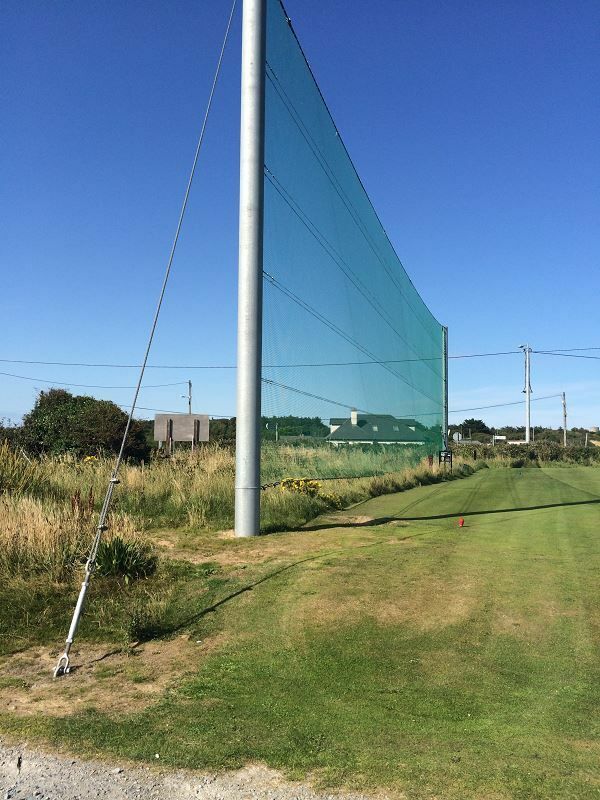 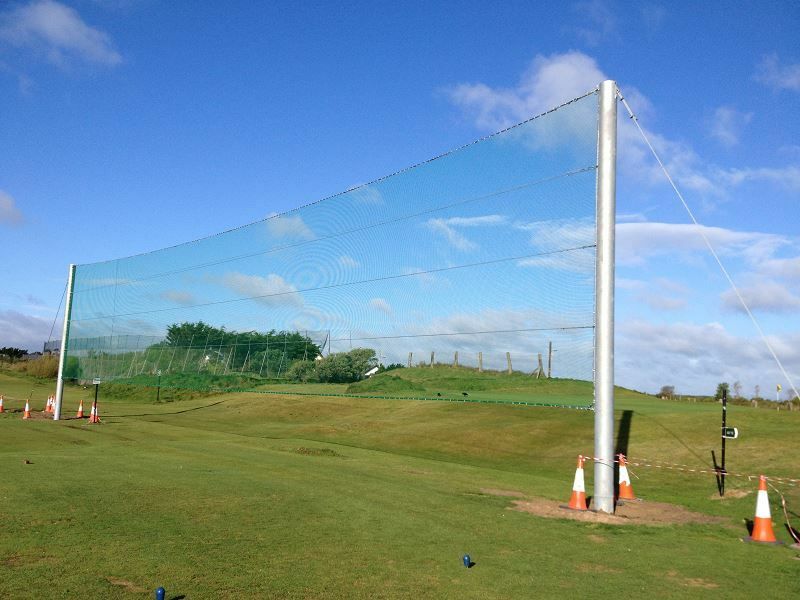 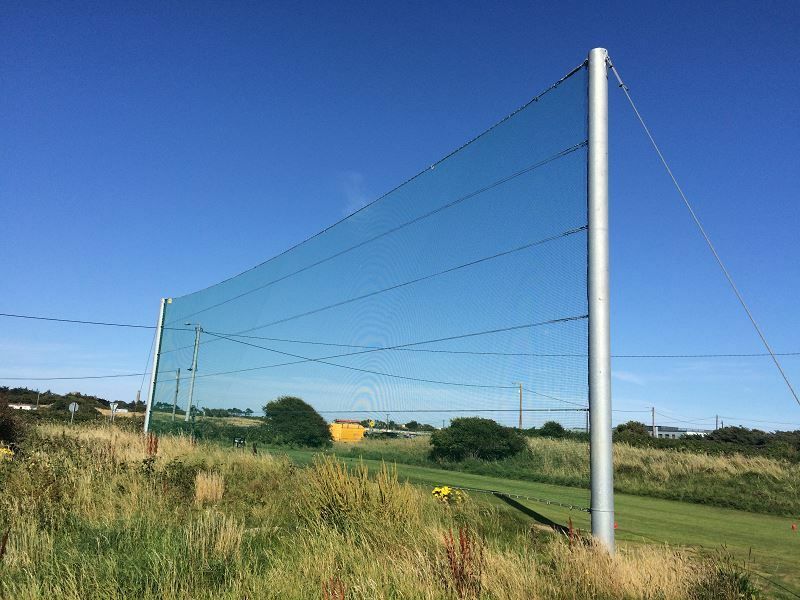 Generally we would suggest that a discussion early in the project with one of our experienced staff will greatly assist in designing the correct Netting for your project.